As the number of electric vehicles on the roads continues to grow, so does the infrastructure required to ensure that finding a charging station or charging point and charging the vehicle in a fast and safe way is not a problem. DC charging stations are the means of choice when it comes to charging electric vehicles within a short period of time. The aim is to be able to charge electric vehicles at any socket-outlet. This means different network types and protective measures can come together during the charging process. This requires careful coordination and implementation in order to guarantee comprehensive electrical safety for the user. A distinction is made between different charging modes. The most common charging mode is AC charging. Since most of the vehicles provide a maximum AC charging power of 11 kW, it is often the case that charging a car requires a very long time. DC charging stations are the means of choice when it comes to charging electric vehicles within a short period of time. In order to guarantee the electrical safety of the charging circuit, it is set up as an unearthed DC power supply system (IT system) according to IEC 61851-23. The maximum controlled charging power in DC-low mode is 50 kW to 170 kW and in the future up to 350 kW with up to 1,000 V.
During the charging process, an insulation monitoring device (IMD) monitors the entire charging circuit in the charging station as far as the electric vehicle. The IMD in the vehicle must be deactivated during this process. 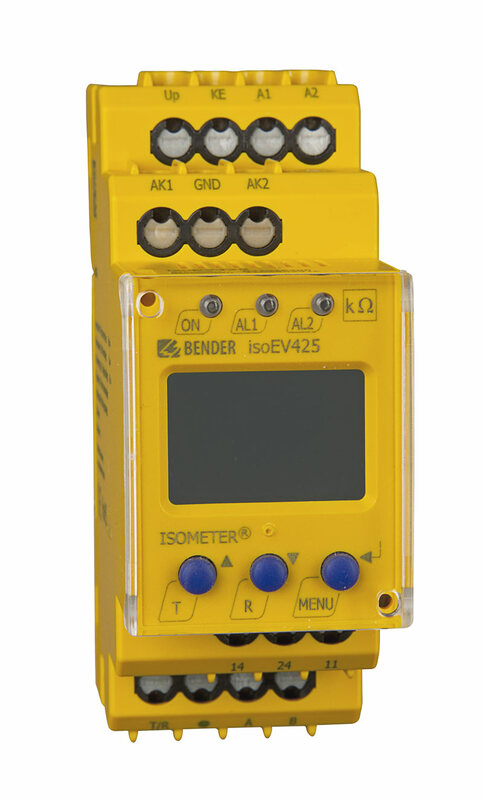 The isoEV425 IMD from Bender has been specifically developed for use in DC charging stations. For insulation monitoring in vehicles, Bender offers IR155 series IMDs. 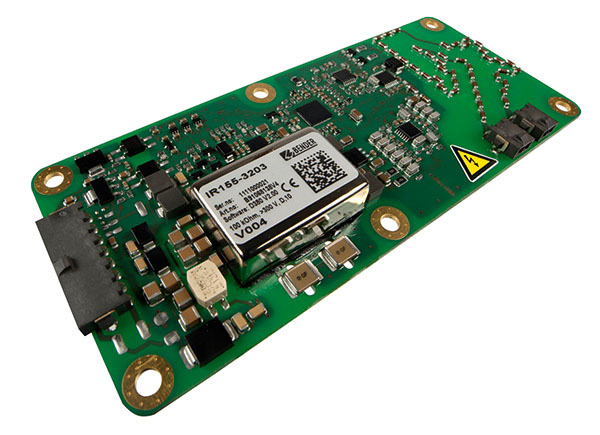 These devices use a measurement method that is adapted to the frequent and fast load changes in passenger cars or commercial vehicles, thus avoiding false tripping.